Rolex Submariner 5508 is a legendary watch. Arguably the most famous and imitated of all Rolex tool watches, the Submariner is a classic collection and was first presented by the brand in 1953 specifically for divers as it offered waterproofness of 100 meters and a diver’s bezel. One of the earlier models among the Submariner collection, the Rolex Submariner 5508, whose production began in 1958, was the last reference to not have any crown guards as they were later introduced to the diving watch with the subsequent reference 5512. It was the first Sub model that included the first 15-minute markings on the rotatable diver’s bezel, a design characteristic that remains on today’s current Submariners. This particular ref. 5508, dated from 1962, still sports the original fat-font bezel insert with the tritium pearl, along with the original gilt dial with two lines of white text and original Mercedes-style hands. 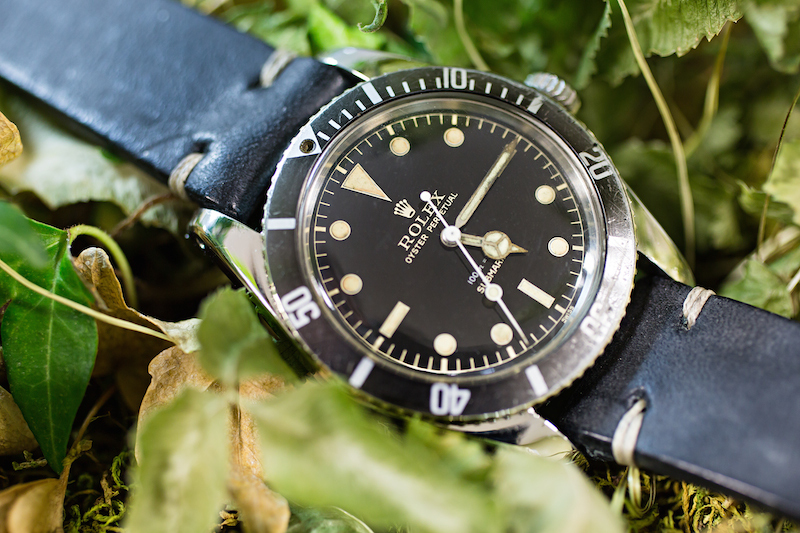 The Rolex Submariner 5508 production began in 1958. A product of the booming jet-age, the first GMT-Master watch, reference 6542, was introduced in 1955 by Rolex as a tool for pilots to keep track of two different time zones as they flew across the skies. 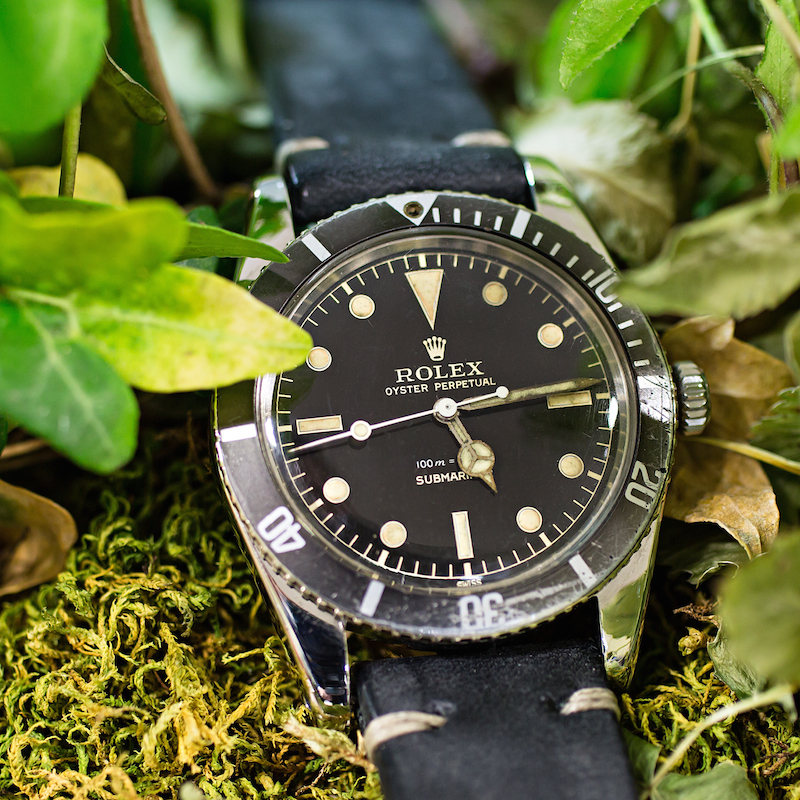 That very first model came equipped with several features that were later replaced by the brand, thus, cherished by vintage Rolex collectors today — a rotatable and luminous Bakelite bezel, no crown-guards, and a gilt gloss dial. 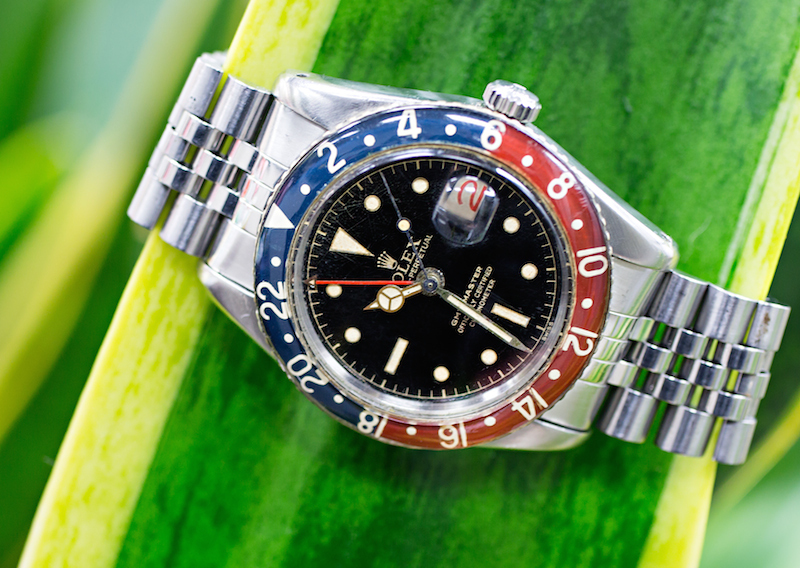 Although Bakelite was useful to pilots since it didn’t distract them with reflecting light, it was quite fragile and susceptible to cracking, so Rolex began replacing them with metal bezels a couple of years later. Its fragility, coupled with its very limited production period makes finding an original and unharmed Bakelite bezel an arduous task indeed and it comes with a hefty price tag. The ref. 6542 was also the only GMT-Master model that did not have crown guards, as its successor, the GMT-Master 1675, would later introduce the protective shoulders around the crown that would remain an integral design feature of all future GMT-Master models. 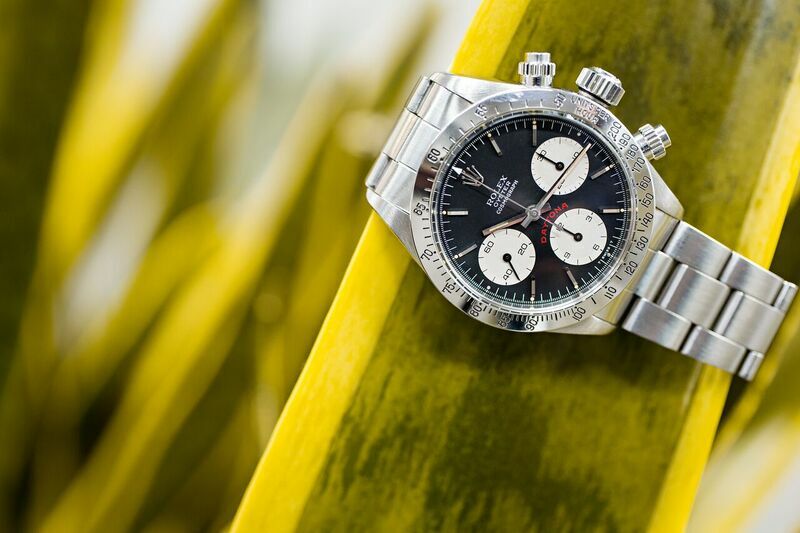 The original Rolex Cosmograph Daytona was launched in 1963 as the brand’s sporty chronograph offering, inspired by the exciting sport of automobile racing. As with most things Rolex, the main design characteristics have remained pretty true to the original. The brand carefully improved and tweaked both the performance and the aesthetics of the Daytona collection over the decades, while keeping the fundamentals intact. The Daytona 6265 was manufactured from 1971 until 1987 and was introduced at the same time as the Daytona 6263. These sibling references were essentially the same watch, except for the bezel—the ref. 6263 was presented with a black plastic bezel insert, while the ref. 6265 was equipped with a metal tachymetric engraved bezel. A notable improvement to the Daytona 6265 over its predecessors was that it was outfitted with screw-down pushers and a larger crown, thus doubling its waterproofness to 100 meters.